It’s official: HTC has dropped the ‘M’ moniker from their flagship phones. 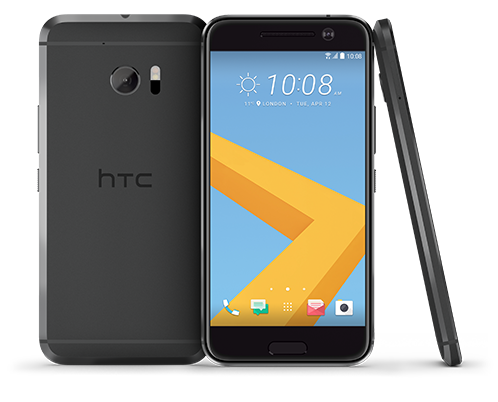 The newest edition to HTC’s lineup is called the HTC 10–nice and simple, like the phone itself. After the M9 was unable to rouse as much enthusiasm as HTC had hoped, they decided to take a few chances and make some changes. To begin with, they didn’t actually change too much in terms of the phone’s exterior design, so its shape and style still remind us of the M9. The phone is still encased in a metal unibody, but it now has chamfered brushed metal edges that should make it a much better fit in your hands. The front of the phone shows significant rounding at the corners, which looks a little dated because it looks a bit like the original iPhone. The display has been boosted in terms of quality and size. It now features a 5.2” display with 2K resolution at 2560×1440. If numbers are anything to go by, the screen should look absolutely fantastic. Past HTC One devices have had on-screen capacitive navigation buttons, but HTC has brought the softkeys down below the display, similar to Samsung’s Galaxy phones. In the middle of two softkey buttons is the home of the long awaited fingerprint sensor. Videos of the fingerprint sensor in action show that it seems to work a lot like the Samsung and iPhone versions, with a live animation showing how much of a fingerprint has been detected or saved. HTC fans who have been lamenting for several generations of the HTC phone about the lack of fingerprint sensors will be rejoicing, especially because the technology imbued will allow users to place their fingers onto the sensor rather than swipe it, such as the primitive technology of the Galaxy S5’s sensor demanded. Unfortunately, specifically because of the fingerprint sensor and the softkeys, HTC’s famous Boom speakers will be relocated to the top and bottom of the phone, rather than sitting on the front of the phone, facing you. Those who pined for the fingerprint sensor will see it as a necessary casualty. For customers like me, though, who absolutely love the quality of the front-facing Boom speakers, fingerprint security is just not worth it. I suppose we’ll have to see how well the fingerprint sensor actually works before we can make our final judgement. If it proves to work flawlessly, we might just change our minds. Fortunately though, we’re also given a microSD card slot. When even Samsung has had the sense to put one back into their flagship phones, it’s no surprise that HTC chose to keep it around. Besides, with the gorgeous display, users will likely want to load it up with lots of videos and photos. Speaking of photos, the camera MP has dropped from 20MP in the M9 to just 12MP. However, we’re hearing that despite the decrease in MP, the quality overall has increased significantly. We don’t have a device for a hands-on review of the camera right now, but we’re certainly excited to try. If you have a lot of the regular micro USB cables, you’ll either have to leave them behind or get an adapter, because in an effort to “future-proof” the 10, HTC has given it a USB Type-C. An adapter might not be the most convenient if you charge your phone regularly, but because it has a battery capacity of 3000mAh, you might not have to. Still, it would be convenient to carry one around in your purse or wallet for those just-in-case times. 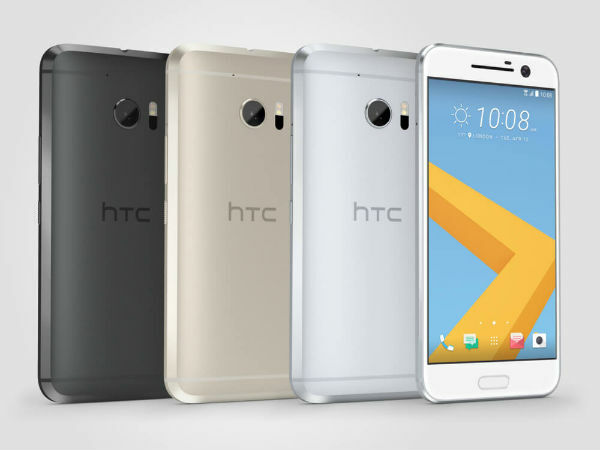 The HTC 10 should also feature Snapdragon 820 and 4GB of RAM for plenty of processing power to fully utilize the extra screen estate. It’ll come with a variation of 32GB or 64GB of internal storage (which is fine, because we can always add more with the microSD card slot). Is the HTC 10 missing something you really wanted to see? Are you as disappointed in the change in speaker location as we are? Let us know in the comments below!